Closet space comes at a premium in some older homes, with not enough storage area to serve your needs. Even in homes offering an ample number of closets, keeping that space organized can present a challenge. After all, you want to store your stuff, not lose it…right? There are numerous ways that you can organize your closet, making it easy to find your stuff and to provide a useful storage area at that. 1. Box it up. 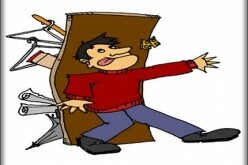 Go through your closet and pull out everything that you do not need. If it is seasonal clothing, then place these items in the appropriate box, label it and store what you don’t need right now in your attic. For items that you will no longer need, simply box it up and take it to Goodwill, the Salvation Army or to your local thrift shop. Get a tax receipt for your donation. 2. Install a closet organizer. 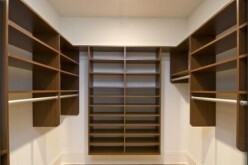 Make better room of your closet by installing a closet organizer. Such organizers make it possible for you to stack your clothing, shelve your shirts or blouses, and hang your pants and ties. So-called “dead space” is no longer unused, and you’ll end up with more room to keep your clothes in order. You’ll pay a mint for advanced systems, especially if you have someone do the work for you. 3. Make use of cubbies. Maybe you don’t need a closet organizer. Perhaps what you do need are cubbies that can sit on top of existing shelving and hold your many pairs of shoes. 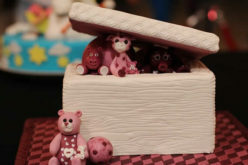 Cubbies can also sit on the bottom of your closet underneath your clothing. 4. Let there be light. 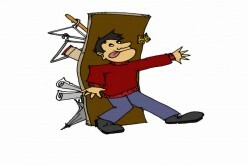 One problem with closet clutter is that you simply cannot “see” everything. This problem is typically attributed to poor lighting as it is either not enough or simply does not exist. You don’t have to call in an electrician here. Instead, buy and install a wireless light unit or two that can shed much light on what you own. 5. Use rolling carts. If you have sufficient floor area available, you can use rolling carts and stack these with boxes that store your season items. Simply place the car underneath the bottom shelves and pull out as needed. You’ll find that the boxes make it easier to organize what you have, while the carts make it easier to access these items. 6. Make use of drawer organizers. 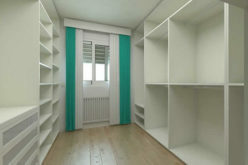 If your closet has draw space, it is easy to fill this area up and lose what you own. 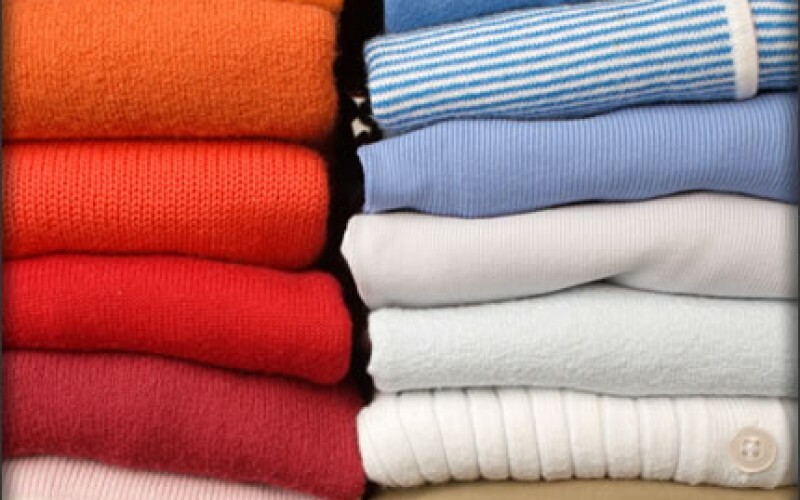 Organize socks, belts and ties by making use of drawer organizers, enabling you to find what you own quickly without rummaging through an overcrowded drawer. 7. Use the empty wall space. Surprise! 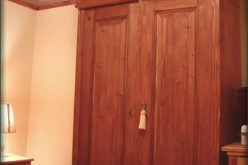 You found an area of your closet that features a small area of blank wall. How best to make use of it? There are a number of things that you can do with that coveted area, but one that is simple to do may be the most sensible too. Buy Command brand products from 3M, an assortment of hooks for damage-free hanging. Place these on the wall to hang your purses, a mirror or belts. The strips remove easily when not needed and they won’t damage your walls. 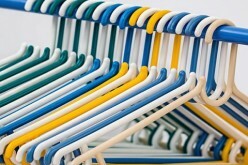 Short of investing hundreds if not thousands of dollars in a closet organizing system, the best way to organize your closet may be to simply declutter it on a seasonal basis. 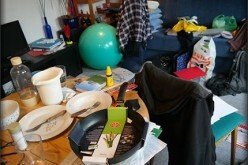 Of course, not making a mess in the first place may be the best approach, enabling you to stay organized and avoid the declutter process completely.